A hiatus of sorts, one well deserved though not intended to last this long. The “shoulds” ran rampant within my mind. “You should get a 3rd review in this week. You should get at least 2 in next week. You should get to writing. You should keep going, working, typing, posting. You should, you should, you should…” With some guilt, I procrastinated. I put off reviews as they felt like work. I gave myself some time to enjoy a few beers simply for enjoyment sake. Sure I posted on Untappd, but I even refrained from taking pictures on many of those check-ins. Last night, at a purveyor of the wonderful liquid that is beer, I saw a 12 oz Brandy Snifter glass. While I have a couple Snifter glasses already, I didn’t have one of that size. I also saw bottles of Mikkeller Beer Geek Breakfast, which I have been eyeing for awhile now. The glass was the perfect size to go with an 11.2oz bottle of Imperial Oatmeal Stout. I got excited. I purchased the two items. Last night I fell asleep looking forward to producing a beer a review this day. So here I am after a 10 day vacation from the rigors of writing and I couldn’t be happier to end my break than with this Beer Geek Breakfast. The beer is bitter, in a delectable coffee way. I really enjoy the use of French Press Coffee in this Stout. While the coffee bitterness is most prominent, there, at times, is a smooth creamy finish within the brew. I recognize a hint of smokiness as I get halfway through the glass. I am reminded of an espresso, in the manner in which you want to consume this, small sips from time to time. Ahh, this is the joy and satisfaction I remember. 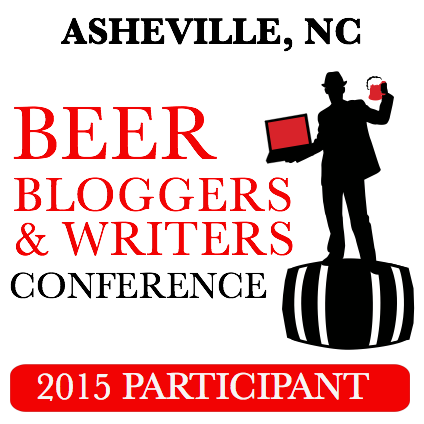 Sitting with a beer, slowly enjoying it and typing out one’s thoughts about it. Researching the beer and the brewery, finding just the right spot for the photograph. It has become a ritual for me. As with all rituals, sometimes they can lose meaning. It is best to step away from them for awhile, so when you come back you can appreciate them refreshed and anew, for what they are. I look forward to repeating the ritual soon, with the Mikkeller Beer Geek Brunch Weasel. I’m so excited, I might just have it done come Monday. 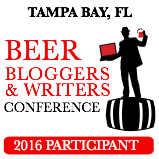 This entry was posted in Beer Style, Mikkeller, Oatmeal Stout, Stout and tagged beer, Beer Geek, Beer Geek Breakfast, Brandy Snifter, Breakfast, Geek Breakfast, Imperial Oatmeal Stout, Imperial Oatmeal Stout. 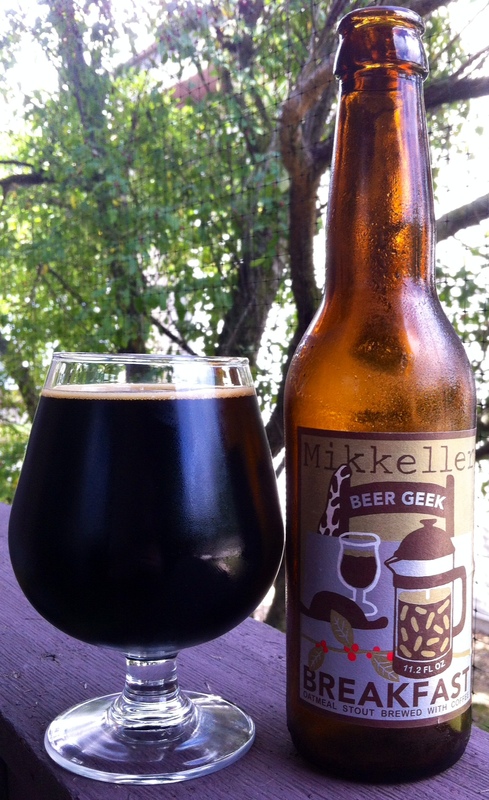 Denmark, Mikkeller, Mikkeller Beer Geek, Mikkeller Beer Geek Breakfast, oatmeal stout, review, stout. Bookmark the permalink. Ah, working for a living can always cause one to become lax in one’s hobby.